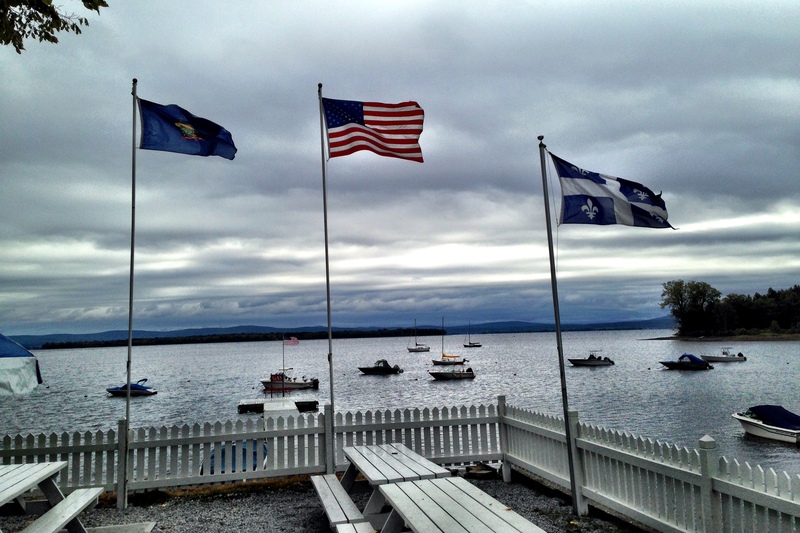 While driving from one Champlain Lake island to another it was our first overcast day on this trip. We hoped to find a nice breakfast spot but didn’t expect much in this fairly isolated area. Kudos to anyone not from the area who can name any of these islands without going to the Google machine. A hint: Ethan and Ira Allen of the Green Mountain Boys requested and were awarded North and South _ _ _ _ Islands because they were heroes in the Revolutionary War. We passed a small sign for “café and bakery” and turned back to see if there would be anything worthwhile. What a pleasant surprise! 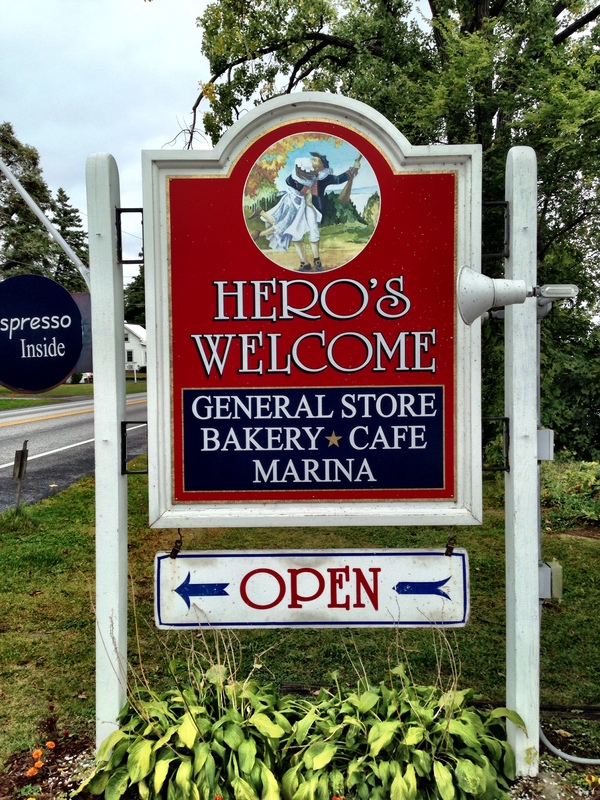 Hero’s Welcome is an all-in-one general store, bakery, café on the island of North Hero, Vermont. 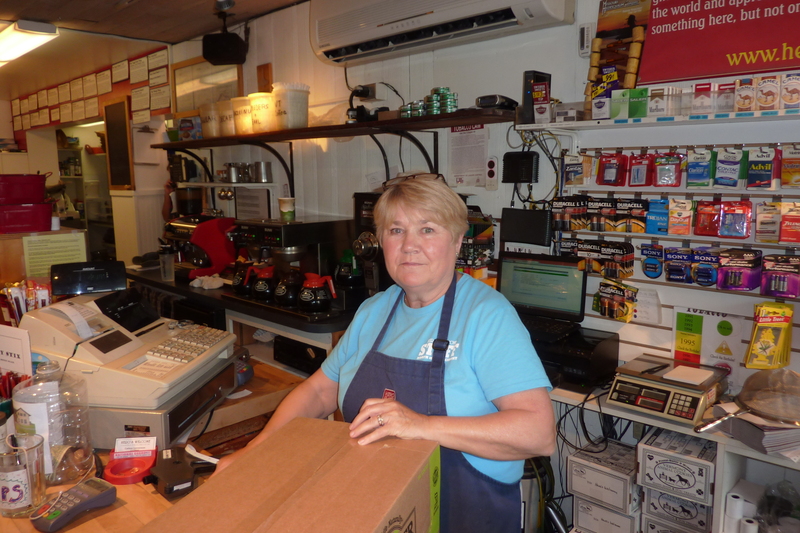 It even has its own post office and marina and a booming mail order business for Vermont specialty items. Maybe it’s successful because it caters to all, no political discrimination. 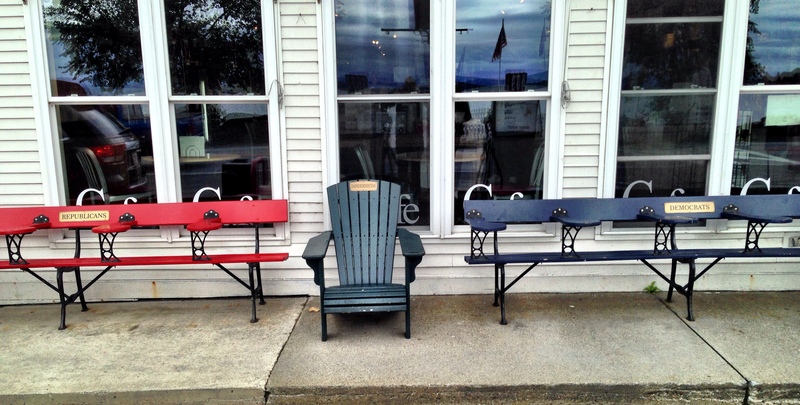 The red bench is for Republicans, the blue for Democrats, and for those not from the area, the “Sandernistas” plaque alludes to Vermont Senator Bernie Sanders, an Independent you may see running for president in 2016. 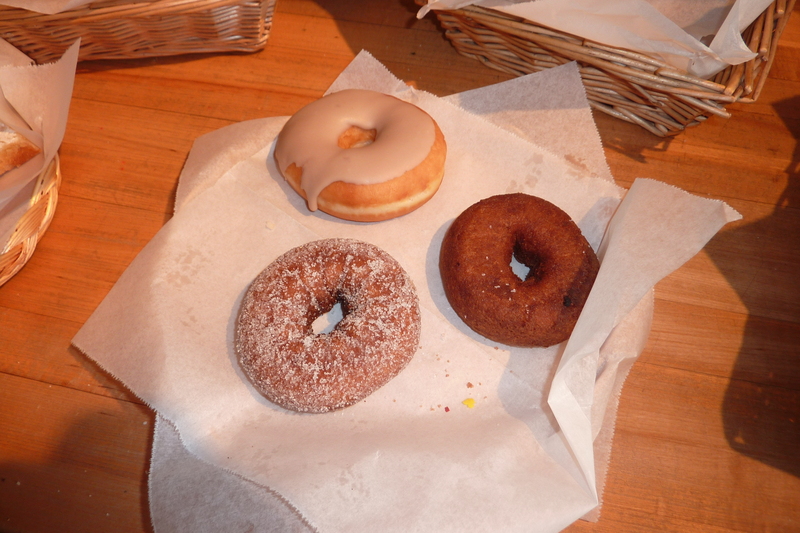 People were standing in line to get coffee and doughnuts, almost like Starbucks, without the “Fourbucks” prices. The store actually has three buildings and an upstairs, filled with infinite treasures. As it turns out, we’re not the only travelers to discover this gem. It was established around 1898! After 90 years in operation it closed. The current owners purchased and renovated it in 1993. 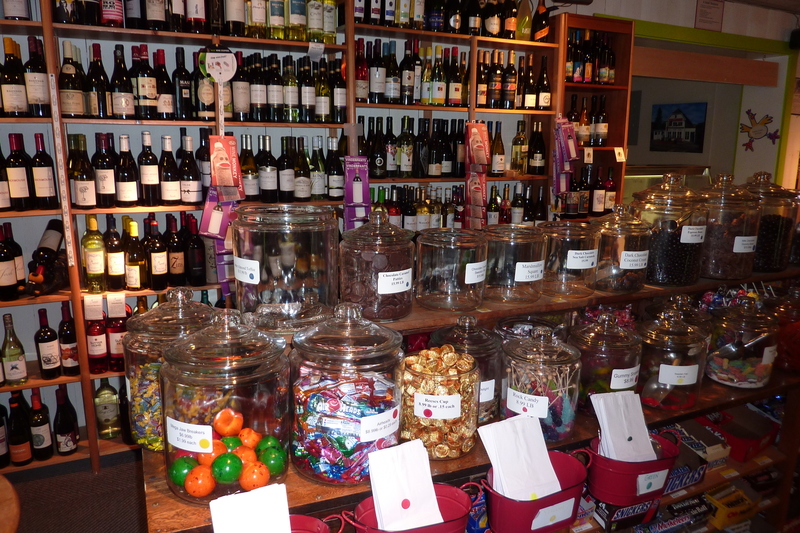 Yankee Magazine has called it “the finest general store on the planet.” Take a virtual visit on the website. We’re now leaving New England, a very successful test run for our big trip. *Wheel of Fortune has a “before and after” category that mixes two expressions into a single missing-letters puzzle. Ergo, a place: Hero’s Welcome and an expression: Welcome to Canadiens! 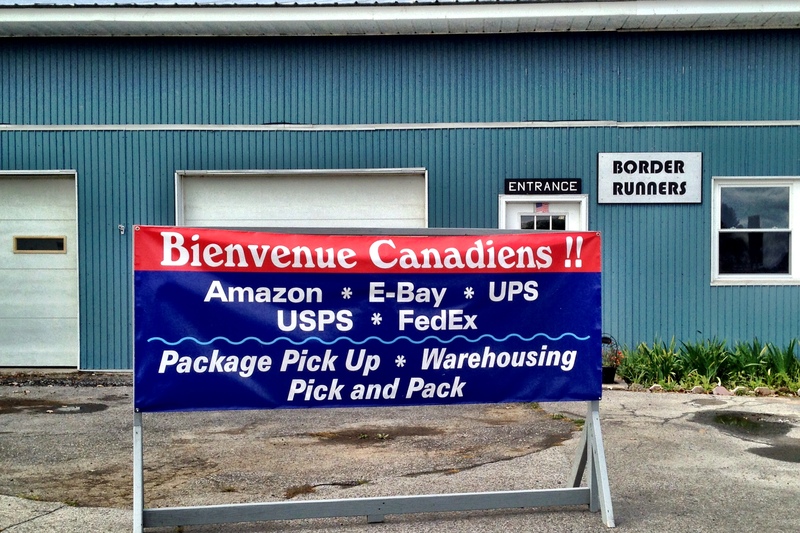 This entry was posted in Smell the Roses and tagged border runners, Hero's Welcome, New York, North Hero, Rouses Point, Vermont. Bookmark the permalink.